Have you ever caught a sick play you made or a big time homerun you hit on video? Have you ever wanted to show off what you've been working on during practice or wanted feedback on your swing? You could upload the video to Instagram, but most of your friends don't play baseball nor care much about your swing. But want about your dream of playing at the next level? Showcases are expensive and some tryouts can cost you $100 just for the day! We have your solution! 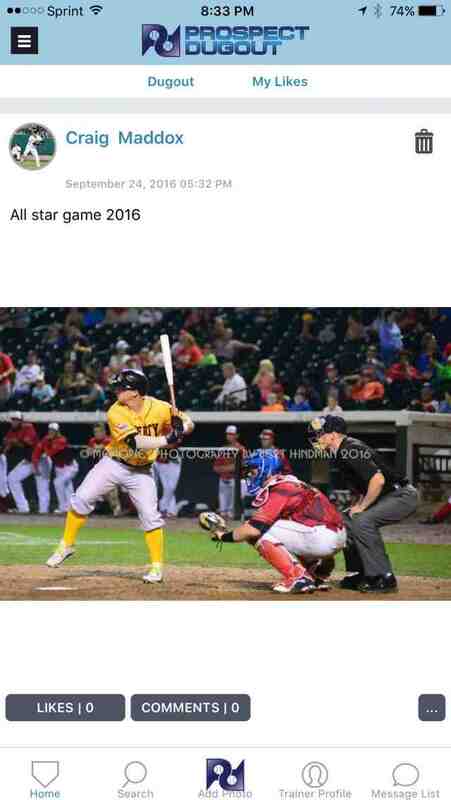 Welcome to Prospect Dugout: an online social network of baseball and softball players around the world; where you can upload text, photos, and videos straight to "The Dugout" newsfeed, and become searchable in our database filled with players, coaches, trainers, scouts, and facilities from around the world! 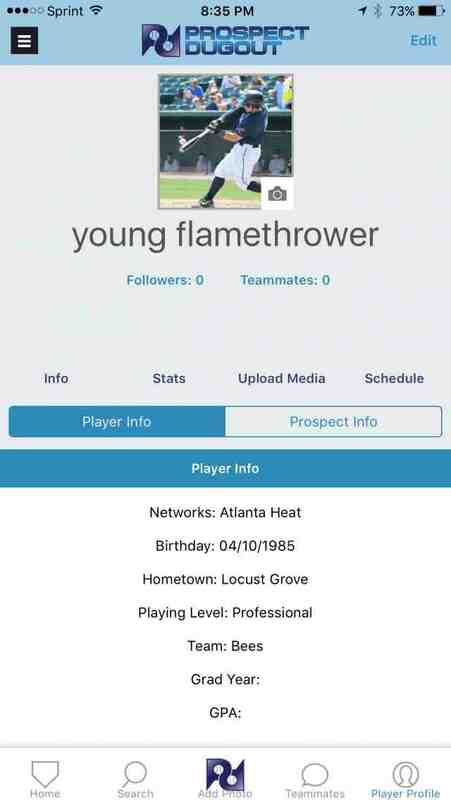 With your Prospect profile you can store your game footage; you can input your schedule for friends, coaches, and scouts to come watch you play! 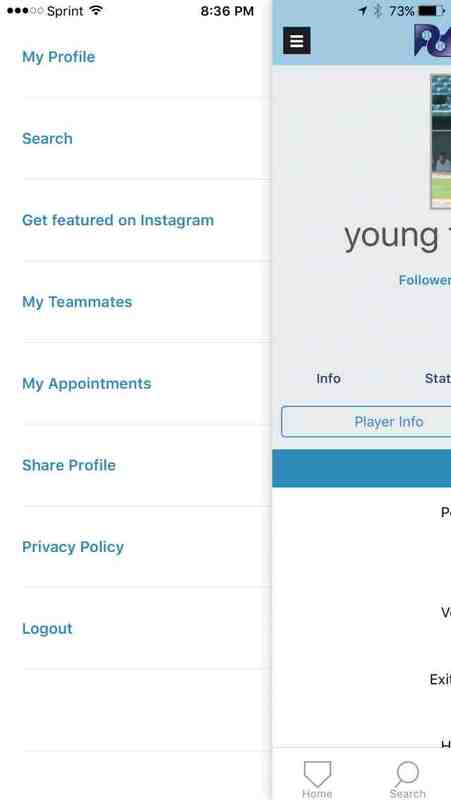 You can even input your stats from various showcases from the season so coaches and scouts can track your progress! 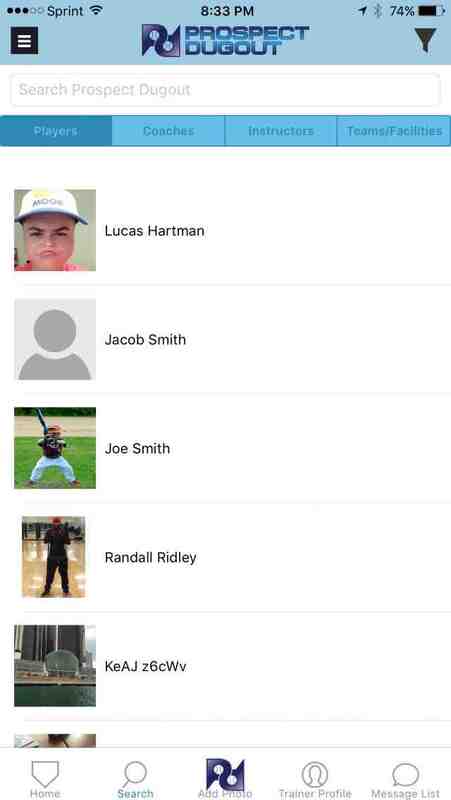 You can share your baseball resume by inputting your team, position, height and weight, throwing, and batting. Plus, you can list your prospect info such as current velocity, 60-yard dash time, base running speed, catcher pop time, exit velocity and much more! All of this is FULLY controlled by YOU, and viewable to all your friends, family, coaches, and scouts in the Prospect Dugout database. 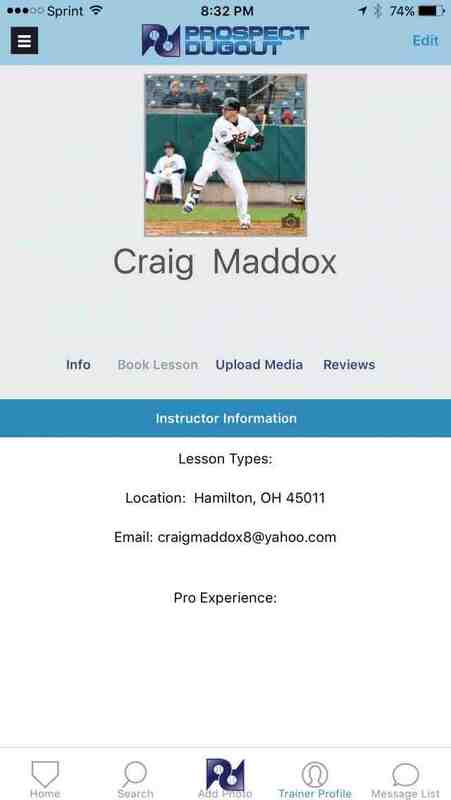 Find the best facility and trainer in your are by searching our database of top tier instructors; click their profile and check out their videos, reviews, and even book a lesson or cage DIRECTLY in the app! Accounts are available for players, parents, coaches, instructors, facilities and teams: everything you need is at your fingertips, and fully controllable by you, the prospect!